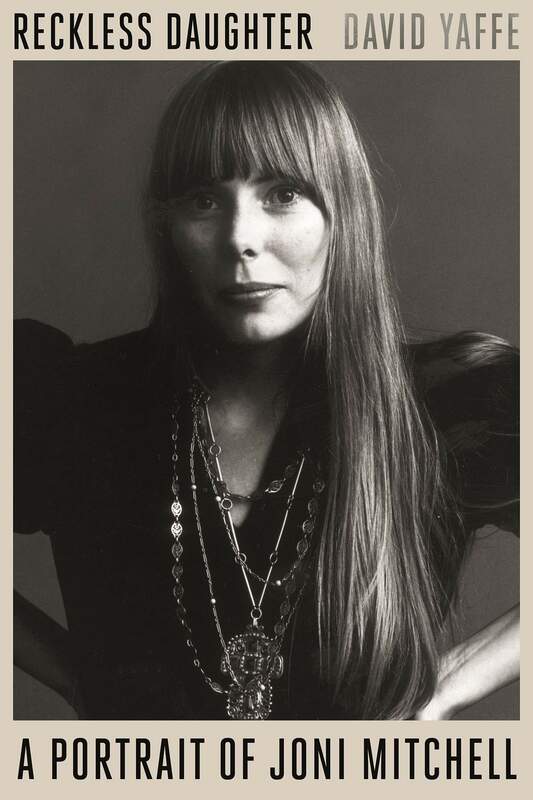 With her regal beauty, imperious nature and nifty clothes, Joni Mitchell could fit right into “Game of Thrones.” Her kingdom would be a mix of Canada and California, where handsome male musicians are as available as cigarettes and artistry, not business, prevails; where songs, instead of swords, serve up revenge but also seduce and enlighten. This kingdom is heavily defended, yet the queenly voice that rules it invites us in. Who could decline her invitation? Certainly not David Yaffe, whose Reckless Daughter is one more reminder of how difficult it is to refuse greatness. Yaffe, a professor of humanities at Syracuse University who’s written books about jazz and Bob Dylan, wants to “understand the mind” that wrote Mitchell’s songs. He creates his portrait using biographical information and extensive quotations from interviews that Mitchell has given to him and others. He tracks her early years in Canada, her rise to fame in 1970s Los Angeles, her expansion into jazz and the decline of her audience and her health. In the remaining pages, Yaffe examines Mitchell’s music along with those who inspired and helped shape it: the men who were both muse and nemesis. Where Yaffe should intervene is when Mitchell makes outlandish and self-serving statements about music. “It’s the same with sus chords,” she tells Yaffe. “Only a woman could have discovered harmony that was never used before in the history of harmonic movement.” Sus chords are suspended chords, and they have been around for a long, long time. Also, why does it take Yaffe more than 150 pages to tell us that Mitchell’s mysterious guitar tuning originated to accommodate her left hand, which was weakened by polio? She’s not the only guitar stylist whose hands determined how they play their instrument; the great Django Reinhardt lost the use of two of his fingers in a fire. Putting Mitchell in a wider musical context would be helpful. His book ends in 2015, when Mitchell had a brain aneurysm that left her disabled but not defeated. As with Mitchell’s hero Picasso, we must take the good with the bad, the unforgettable voice done in by its daily four packs of cigarettes. It’s fitting, then, that Yaffe closes by praising Mitchell’s wise, world-weary reprise of “Both Sides Now” on her 2000 album of the same name. Her version reminds us of “how many new meanings had been accumulated from the many lives Joni had been living since she wrote that song” in 1967. The lonely girl ill with polio had survived to become a great artist. Yaffe’s books tells us how she got there.